A nut is a type of hard-shelled fruit. 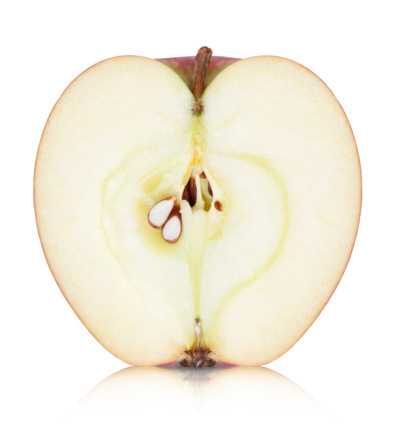 Every fruit contains one or more seeds. The fruit of the sunflower are the disc florets that make up the large flowering head. These disc florets, which are not nuts, develop into seeds. Sunflower seeds are not nuts. Sunflower seeds are highly nutritious. Many plants produce a fruit called a nut. A nut is a single-seeded fruit with a hard, dry outer wall that doesn't crack open when it matures, such as an acorn (the fruit of an oak tree). This means that many nuts are also seeds. However, not all seeds are nuts, because seeds also develop in other types of fruit (such as the disc florets of the sunflower). 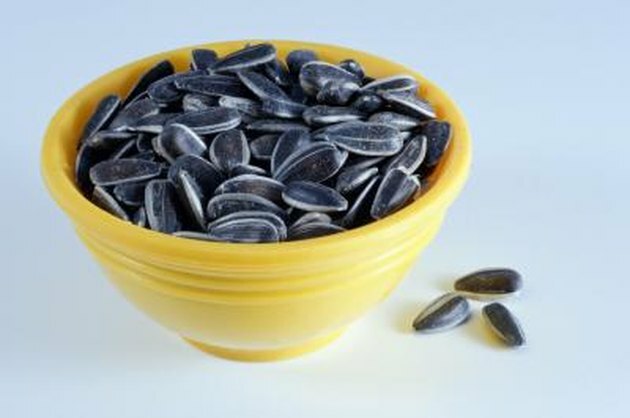 Two types of sunflower seeds are grown: Oilseed, which is used to produce sunflower seed oil and bird feed, and non-oilseed, which is the type of sunflower seeds people eat. Sunflower seeds are highly nutritious, containing 24 percent protein, the B vitamin thiamine, Vitamin E, iron, phosphorous, potassium, calcium and essential fatty acids. The sunflower family is the largest family of flowering plants in the world. The stem can grow almost ten feet tall, and the flower can grow almost a foot in diameter.